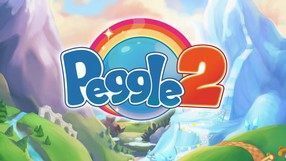 The second part of the hit puzzle game, which is one of the most popular titles in PopCap Games. Players can try their hand again, trying to shoot down colorful pegs on dozens of different boards in terms of appearance and difficulty levels. A puzzle game by PopCap Games studio, in which we shoot balls at colorful objects. It offers both solo gameplay and the possibility of playing with other users. Simple puzzle game designed for literally everyone. It resembles a junction of pinball and pachinko. The authors have prepared 55 boards with orange and blue (and green - bonus and purple - giving extra points) balls. Our task is to break all the orange balls. A puzzle game reminiscent of a junction of pinball and pachinko. With the help of the launcher located at the top of the board we have to shoot the ball in such a way that it hits as many colored pegs as possible. 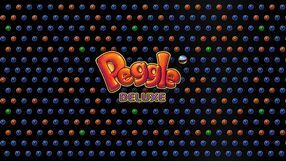 Peggle Deluxe is a game for players of all ages, developed by PopCap Games. The title was distributed digitally.